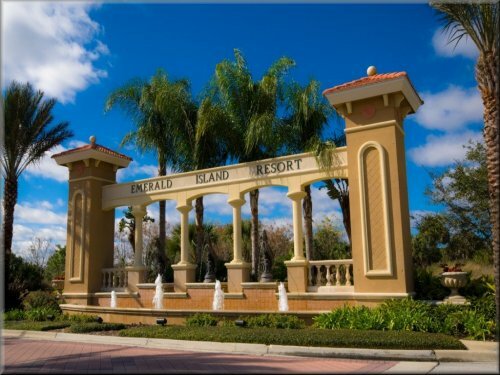 This beautiful villa is in the gated Emerald Island Resort this villa is newly furnished and professionally decorated. 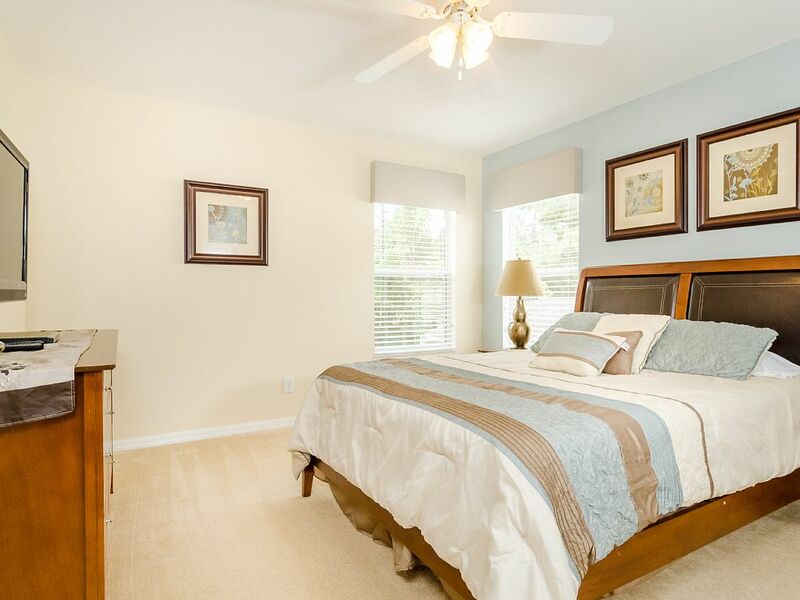 In the villas master bedroom, you can enjoy a good night’s rest in your very own king size bed. 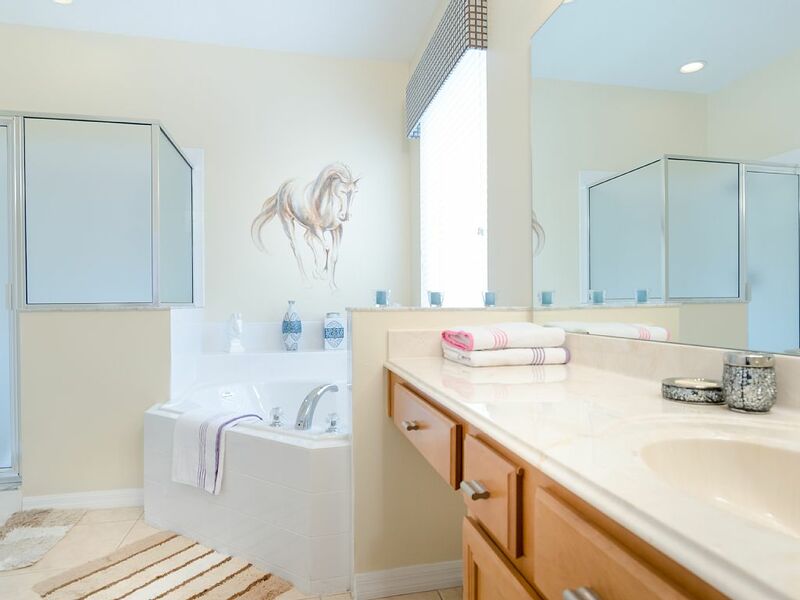 The vacation rentals master bedroom is equestrian themed with prints from British artist Lydia Kiernan and comes equipped with its very own master bath fitted with a very relaxing tub for your pleasure. 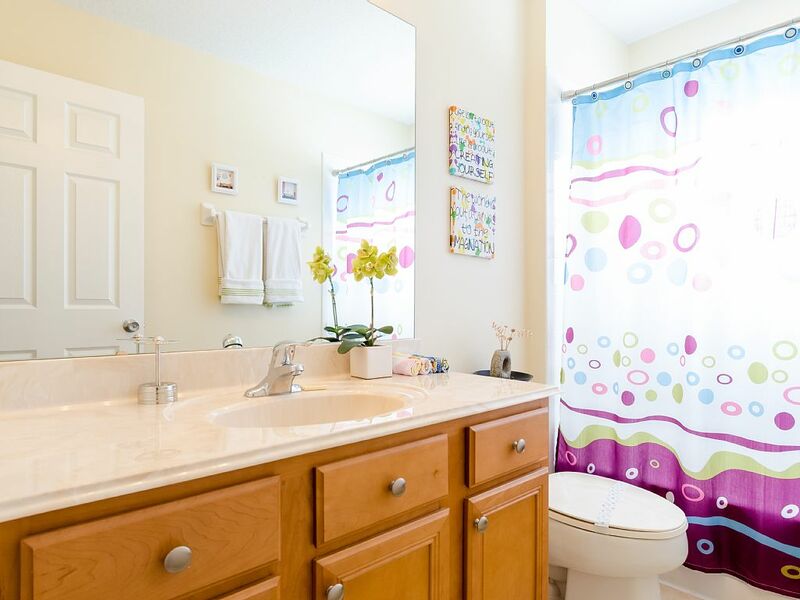 Furthermore, you have your very own 42 inch Flat screen TV so that you may enjoy your favorite programs. 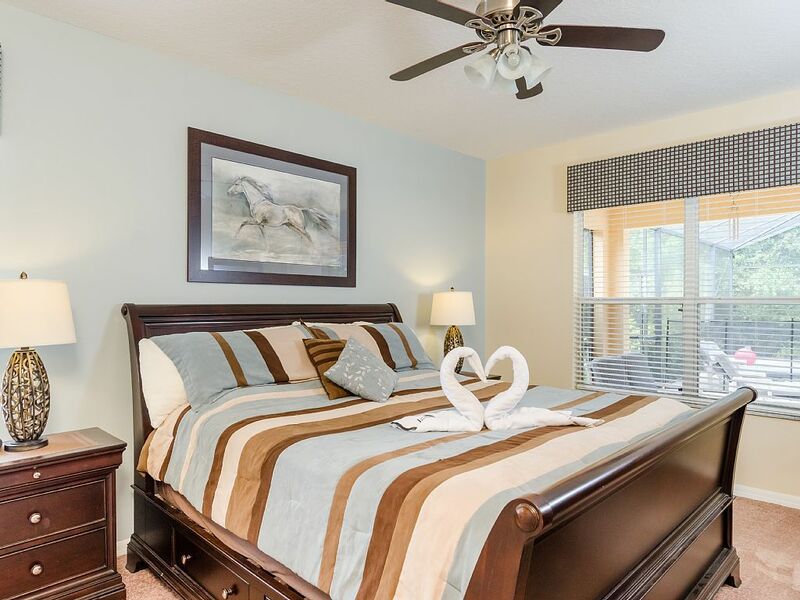 Apart from the master bedroom, this Emerald Island rental has 5 additional bedrooms 3 of which offer large beds and the remaining 2 offer single beds. 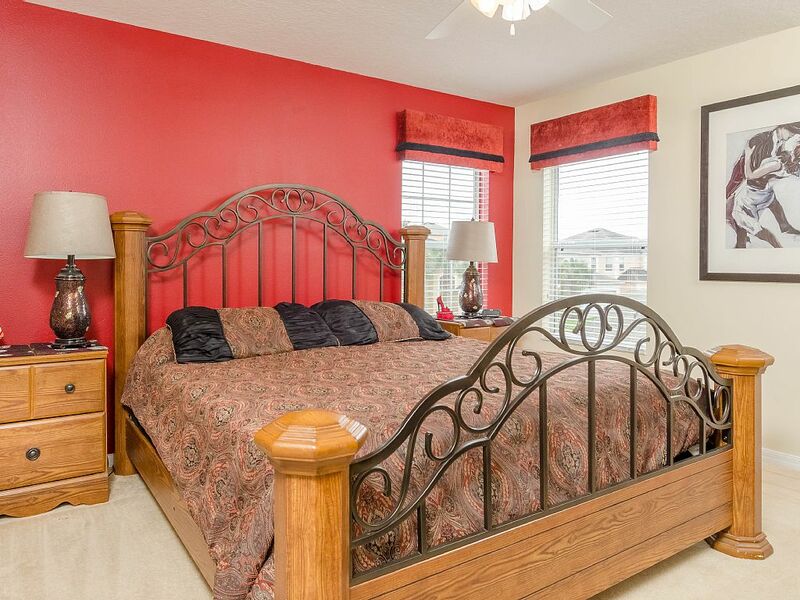 This Florida vacation home near Disney World is pure luxury and can accommodate up to 12 guests. Furthermore, kids can be treated to their very own magical place. 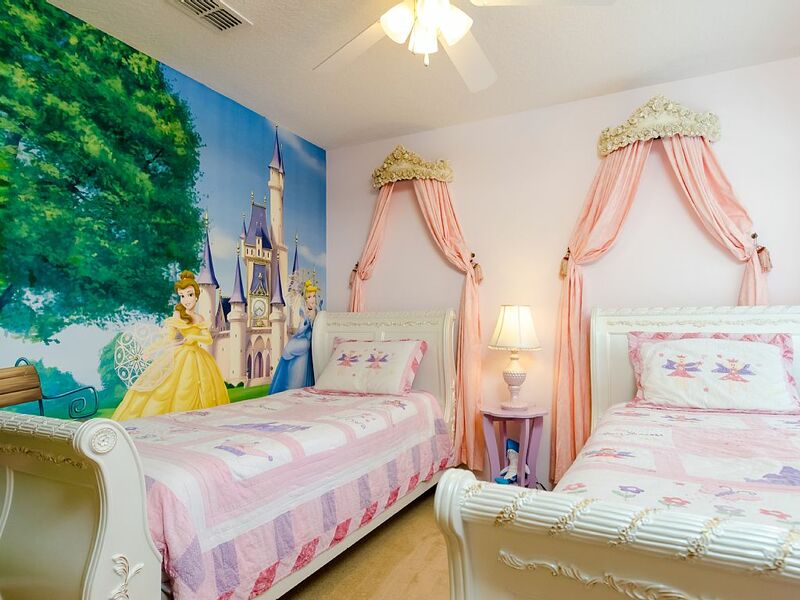 One of the bedrooms in the home has 2 single beds and is beautifully decorated with a princess theme and Disney wall design. 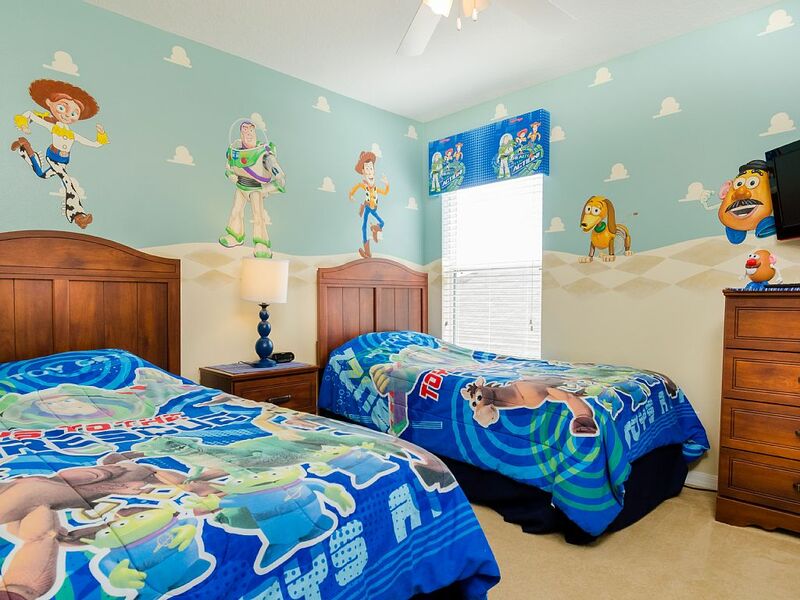 The other twin bedroom is decorated with a Toy Story theme with characters like Woody and Buzz Light Year along the walls. 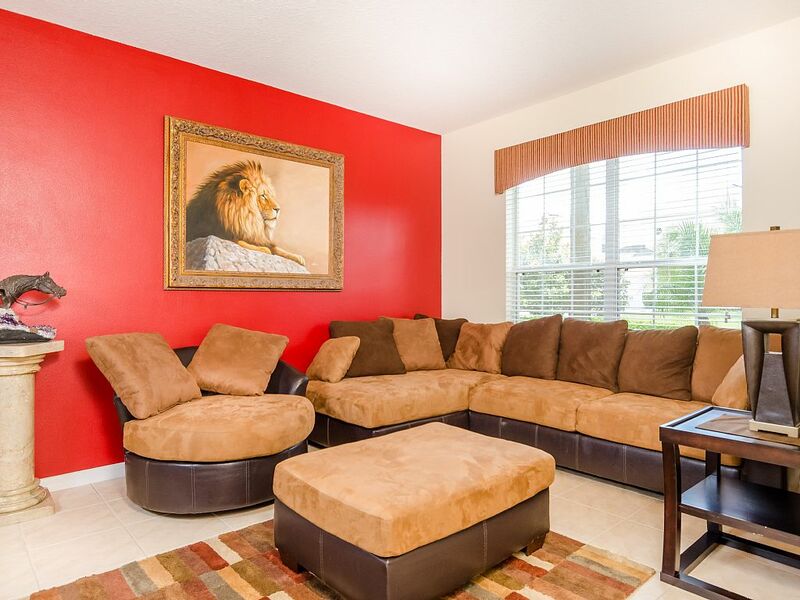 This is in keeping with the fact that Disney World is just around the corner from this Emerald Island rental home. 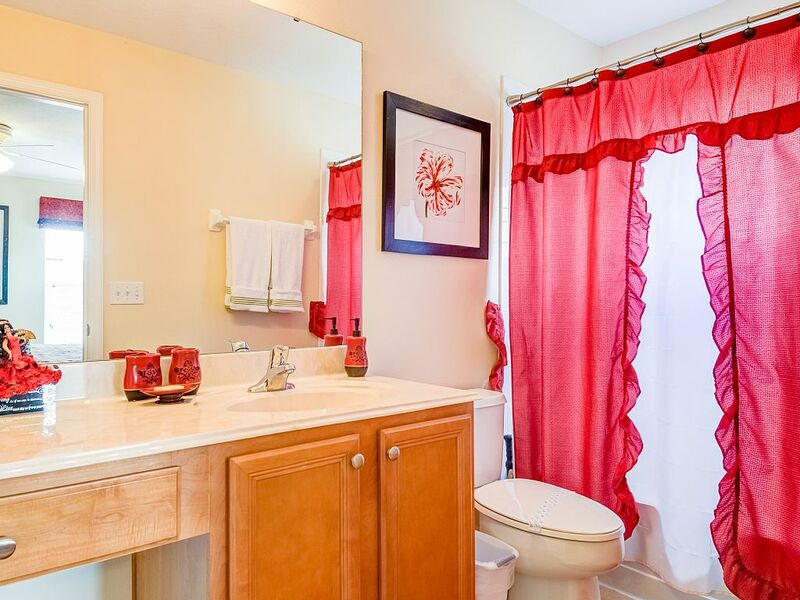 The entire decor in this beautiful Emerald Island vacation rental is of the highest standard. 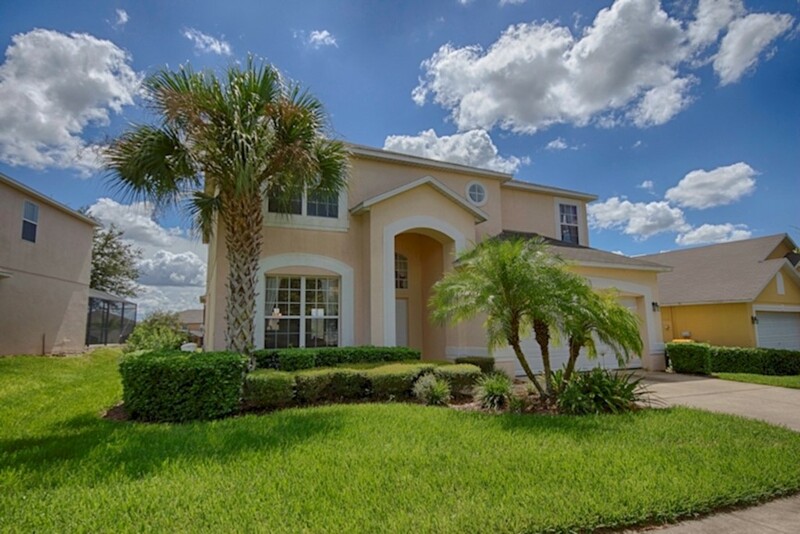 If you want to rent a villa near Disney World, then this is the Emerald Island Rental villa for you. For your entertainment, you don’t need to go out! 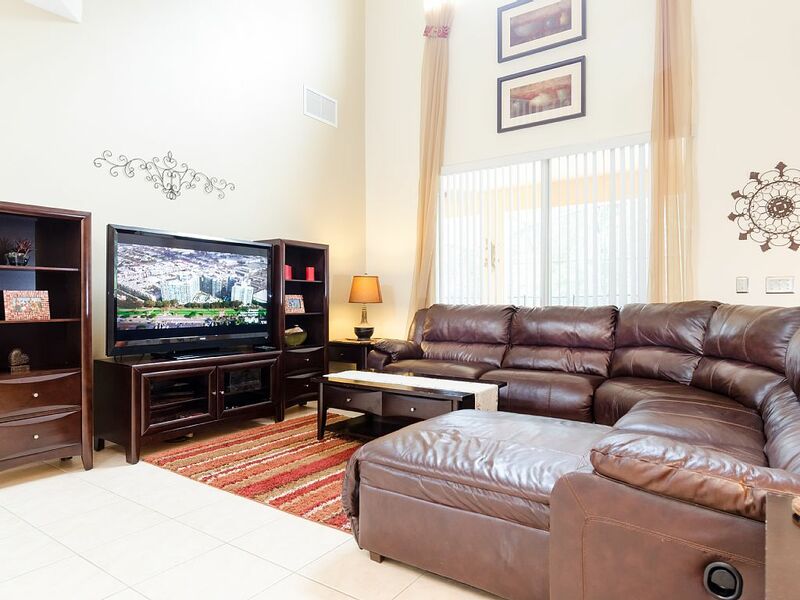 The family room in this Orlando holiday home offers a huge LCD TV where you can sit back and relax while you watch your favorite shows. A DVD player is available so you can watch the latest block busters or view the classics. 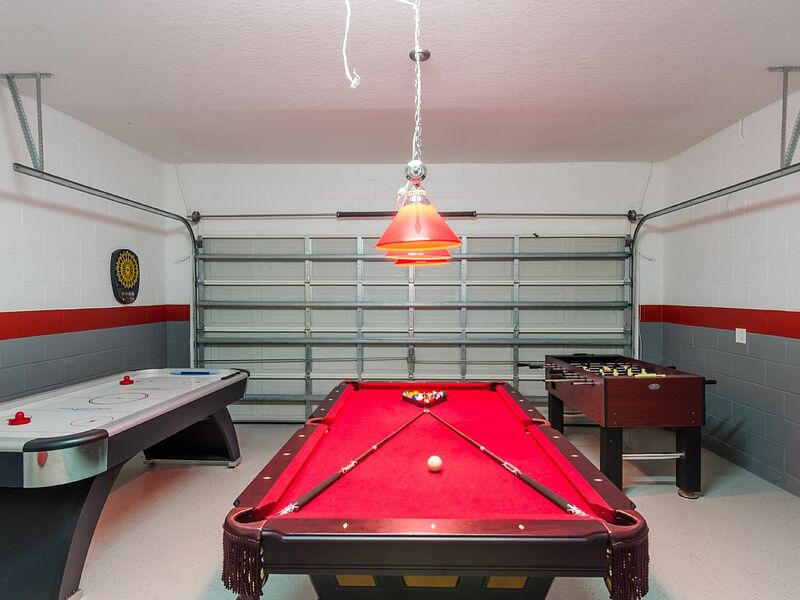 You can also have fun in the homes game room where you have the choice of playing pool, foosball or air hockey. Of course who can forget the patio with plenty of seating and lounge chairs for everyone in your party. 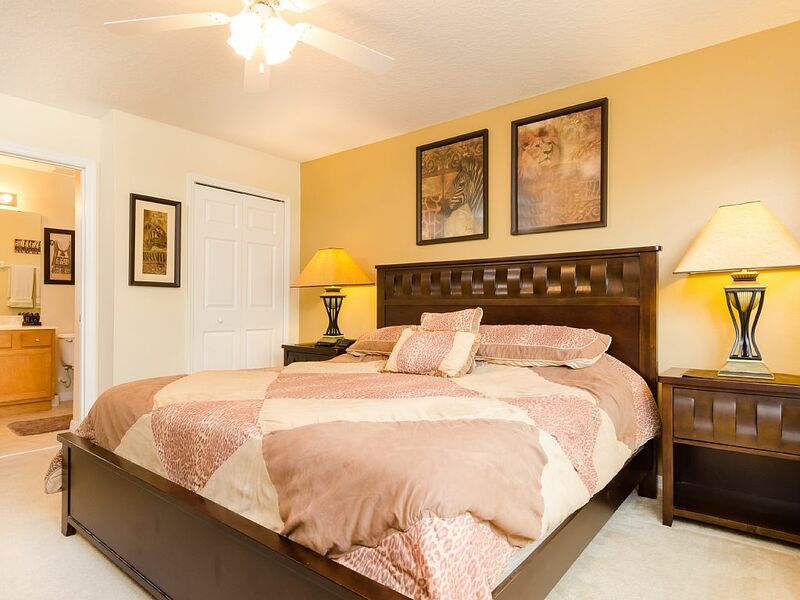 The Emerald Island villa offers a tranquil pool and sunbathing area with a jetted Jacuzzi. 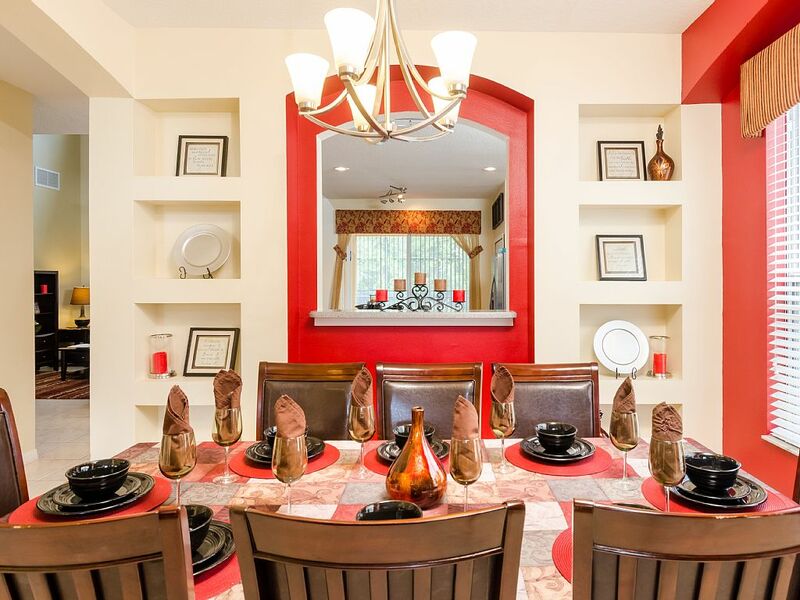 This vacation rental has views of Florida Conservation behind the home. 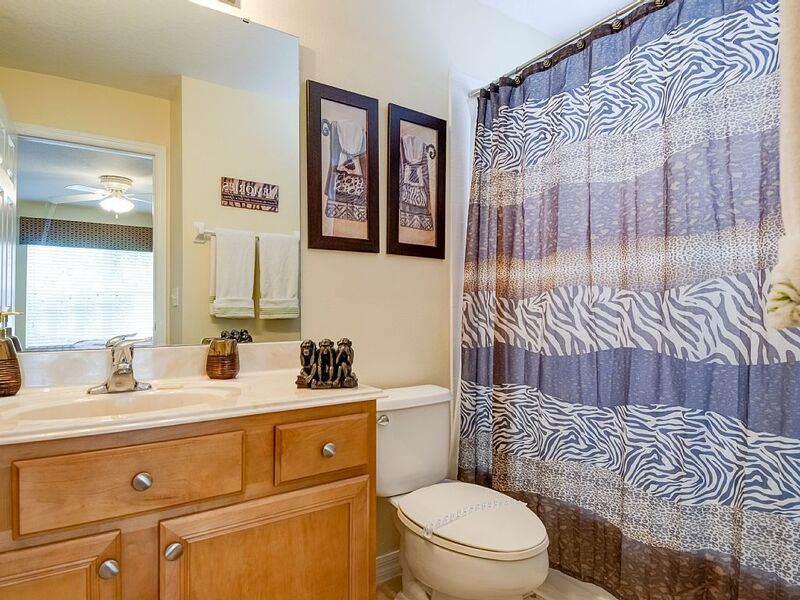 This private sanctuary is all yours to enjoy; with no neighbors behind you you will feel the tranquility. 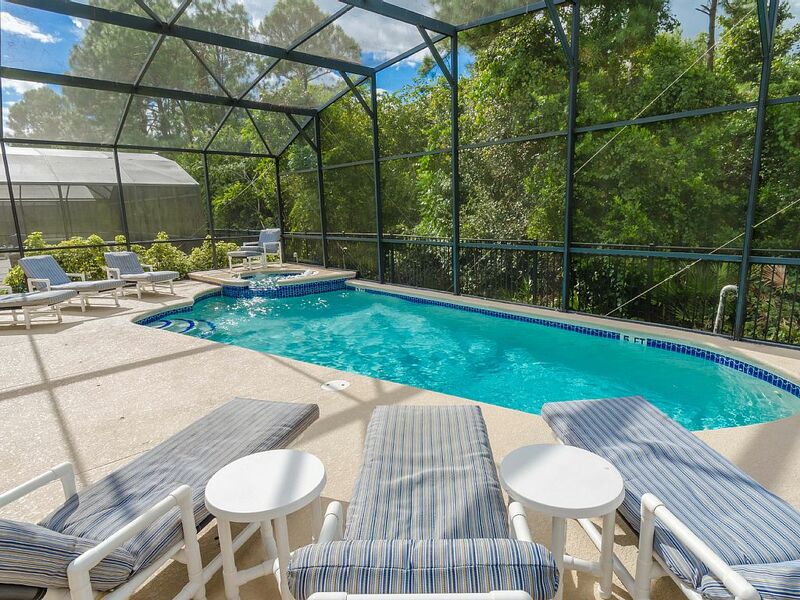 A screened pool keeps the pests out but lets the Florida sunshine in while you take a dip in your very own pool. 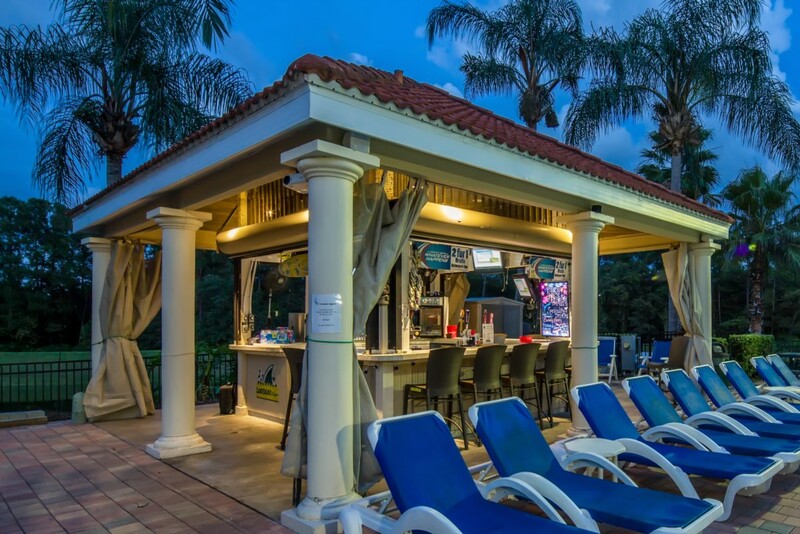 If you prefer, you can simply relax under the stars in your very own outdoor spa/Jacuzzi.